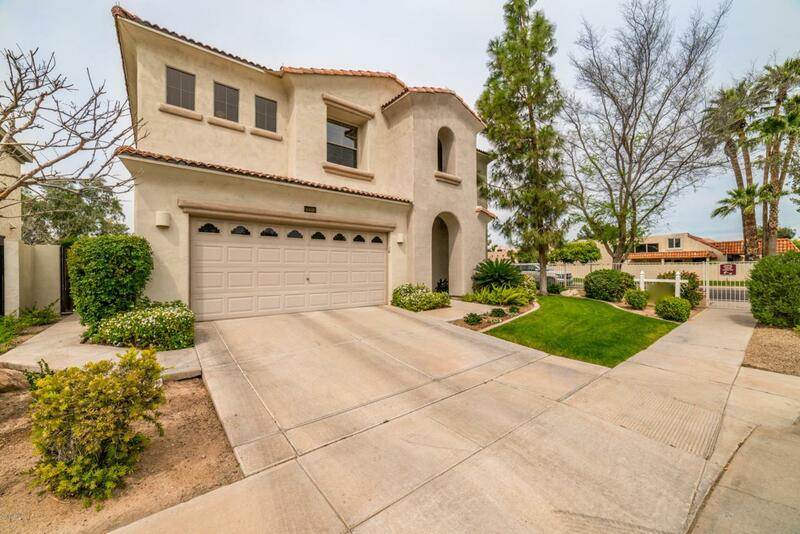 FIRST TIME ON THE MARKET FOR THIS NORTH CENTRAL SINGLE FAMILY HOME LOCATED IN A GATED GOLF COMMUNITY IN CENTRAL PHOENIX. 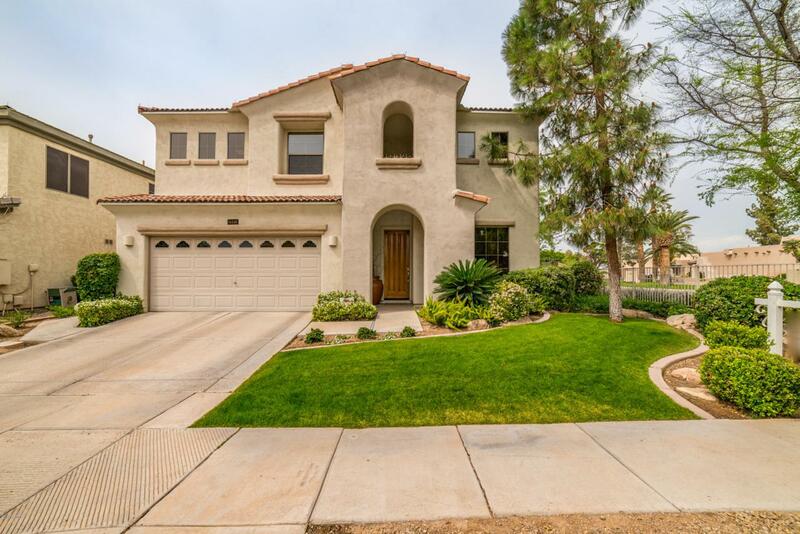 LOCATED BETWEEN THE 2ND AND 3RD HOLE OF PALO VERDE GOLF COURSE. 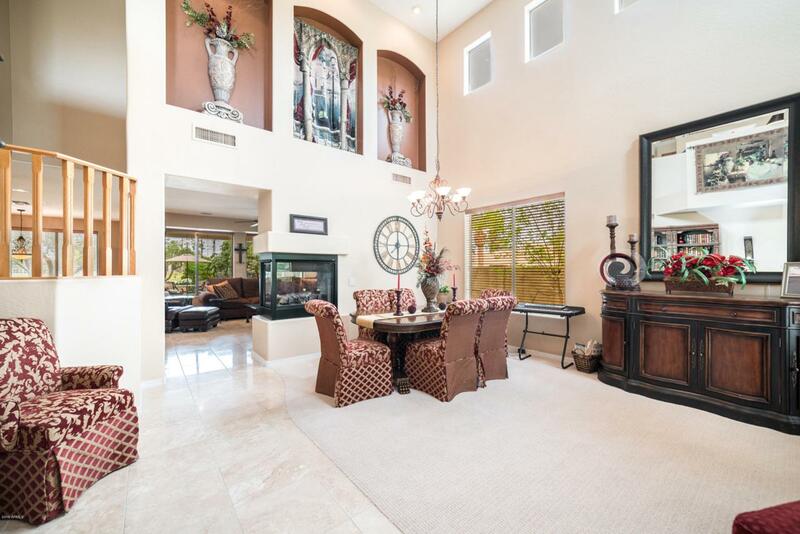 22' CEILINGS IN ENTRY AND LIVING ROOM. SELLERS SPENT OVER 100K IN UPGRADES SITUATED ON ONE OF THE LARGER LOTS IN THE COMMUNITY. 1 BEDROOM DOWNSTAIRS. 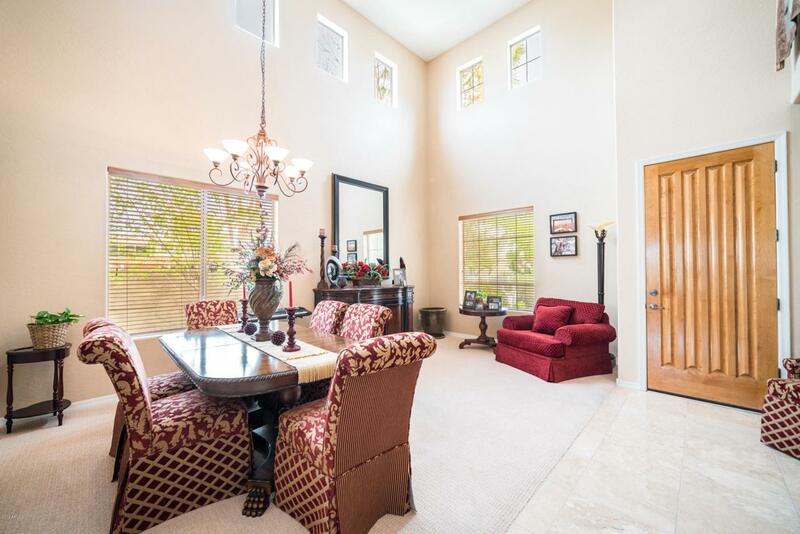 TRAVERTINE MARBLE FLOORS T/O EXCEPT FOR CARPET IN BEDROOMS.KITCHEN HAS GRANITE COUNTERS,EAT@COUNTER,EAT IN KITCHEN & OPENS TO HUGE FAMILY ROOM WHICH HAS DUAL GAS FP..UPSTAIRS HAS HUGE MASTER SUITE WITH SITTING AREA, BALCONY, LG W/I CLOSET AND GOLF/LAKE VIEWS. 4TH BDR IS CURRENTLY USED AS A LOFT/OFFICE BUT EASILY CONVERTED TO ANOTHER BEDROOM. BACKYARD HAS 600SF OF FLAGSTONE PLUS WATERFALL KOI POND, GRASSED LOT AND BARBQ.